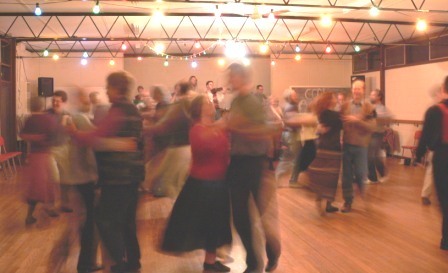 Contra dancing is a form of American traditional social dancing. It's fun and friendly and new people are always welcome. All dances are taught and there is no need to bring a partner. For more detail of what contra is (and isn't), here is a variety of definitions. Also, check the Wikipedia. For some pictures of contra dancing, have a look at Contra Dance Carolina. There is also a clip of Canberra Contra Club on YouTube. We dance on the first and third Tuesdays of each month and have a Saturday night dance approximately every 2 months - check the dance calendar. Mostly contras (not surprisingly). We sometimes do a square dance, and we usually finish with a circle mixer, but in general we are doing contras. We have a variety of callers so there is also a fair variety in the choice of contras. Many of the callers have also written some dances so you never know quite what to expect. Here is an archive of the Tuesday and Saturday dances (the link opens in a new window). This is one question that is answered at this contra dance FAQ. I'll just add that you should wear flat, comfortable shoes and please, no hand cream, perfume or after shave. We dance to live music, the Canberra Contra Club Band led by Rob Mahony. This is an open stage so anyone is welcome to join in. Because of this the line up is wonderfully varied and includes violins, accordions, guitars, flutes, harmonicas, penny whistles, and even the occasional trombone.If you would like to be part of the band, contact Rob Mahony at Robert.Mahony@anu.edu.au. We have several regular callers. It is an open microphone so anyone who wishes to call a dance is welcome to do so. If you would like to give it a go, contact Peter Foster at pfoster@pcug.org.au In particular, if you are a regular contra caller and are visiting Canberra, let me know and I'll squeeze you in. For some useful info about calling, check out Colin Hume's Callers Workshop and Cary Ravitz's Calling Notes. Also, Henry Morgenstein has some good essays on contra. If you are interested in discussing aspects of calling, there is a caller's mailing list. If you are looking for some dances to call, there are lots of collections online. For example, Cambridge Folk has lots of dances and dance links. If you have come across an interesting looking dance (or perhaps written one) and you are not sure how difficult it is, Rob Mahony has put together a contra dance difficulty estimator. 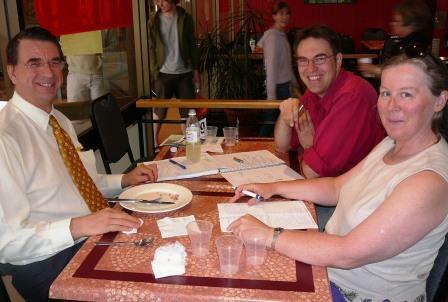 Canberra Contra Club was started in 2005 by Colin Towns, Jeanette Mill and Rob Mahony. The club has played at various folk festivals and other events in the Canberra region. The club is now included as an activity of the Monaro Folk Society.